Facebook is still the No. 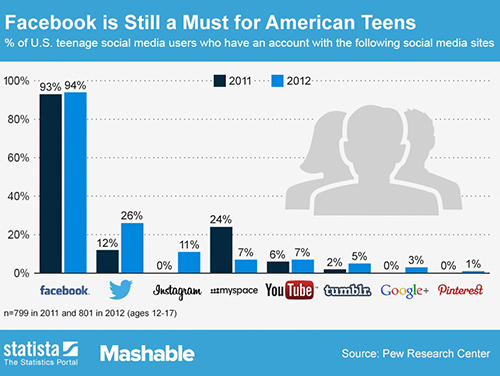 1 most popular social network among teens; its use increased from 93% to 94% between 2011 and 2012. The next most popular social network last year wasTwitter, which is used by 26% of teens. Another chart-topper, Myspace, saw drastic drop-off between 2011 and 2012, from 24% to just 7%.